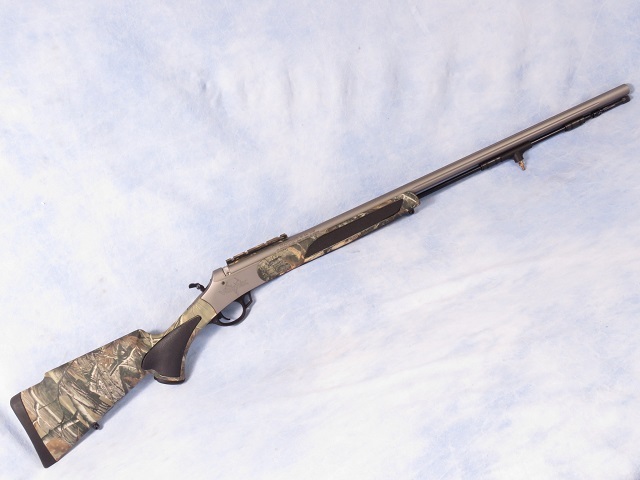 Traditions model Vortek Ultralite LDR muzzleloading rifle chambered in .50 caliber. Customer downsizing his ML collection, has only range fired this beauty twice. Mounted a Vortex (manufacturer) Viper 3-9x40 BDC scope to insure he could drive tacks! The ML has a WeatherShield finish on its 30" fluted barrel and frame. Camo pattern furniture set is off nicely. Features break-open breech and no-tool plug removal. Looks like new.